Orbotech offers a diverse, yet comprehensive range of services geared specifically for the needs of PCB manufacturers. Our Customer Support people realize that meeting your challenges is critical to success. A global team of experts is on hand to address any issue which may arise, and which requires a quick resolution to get the most from Orbotech's products while minimizing any potential down-time. First-rate support is only a phone call away. Orbotech Experts answer questions and solve problems fast. Many service calls are closed right over the phone. If a site visit is required, the Response Center Experts will make sure that the local Engineer arrives at your facility with a pre-determined problem analysis and any parts required. By using highly-effective remote support tools, Orbotech’s engineers can perform system diagnostics, analyze information and guide your technical personnel through the process of effective problem resolution by remote. 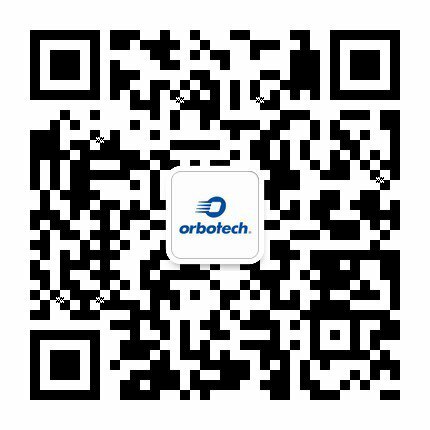 Local Orbotech Engineers attend to all aspects of system performance on-site at, your facility. This includes installations, preventive maintenance, hardware or software issues as well as applications support. Audits and consulting are also available to help you get the most from your Orbotech solution, including methodical assessment of your equipment and process to help fine-tune performance. Our Engineers are thoroughly trained in all of the most advanced aspects of our solutions. They bring unmatched skills to your facility and experience from Orbotech’s presence in PCB manufacturing facilities worldwide to handle even the most difficult technology challenges. Orbotech offers professional training at our local facilities or your site. Initial training of your team is an integral part of each new system installation. Additional advanced courses are also available. All Orbotech instructors are fully knowledgeable and have field experience to help you maximize your equipment know-how. Preventive maintenance (PM) activities are designed to pro-actively maintain system performance. PMs include hardware and software maintenance as well as running diagnostic tests to identify potential failures or bugs. A pre-defined list of critical parts is replaced before failure. The environmental quality, such as temperature, humidity, and power, is also checked and any corrective actions are recommended. New software version releases and Engineering Change Orders (ECOs) are provided on all current generation products to customers with a service contract. These enhancements bring you increased functionality and reliability. Orbotech maintains extensive parts inventory centers close to customer sites, enabling fast response when a part is needed. All centers are connected to an electronic inventory system, allowing rapid sourcing from other locations if necessary. Our technical experts analyze system performance in production including tracking up-time percentages, reliability figures, parts consumption and more. They are a critical liaison between our R&D groups and customers for enhancing our current products and developing the next generation. At Orbotech we realize the importance of your service requirements and the relationship to your business. An integral part of our total solution approach, is our focus on being able to offer you a range of flexible service plans to choose from in order to meet your specific support requirements and operational success. Please contact your local Orbotech Customer Support Manager for more information.